Behold the beautiful biscotti that will be gracing my gift tins to family and friends. Now I know that I just posted a biscotti recipe not too long ago, but I wanted to share this one as well because they have somewhat different properties. The previous biscotti recipe produced a soft and tender cookie, which was very good. This recipe, however, mimics what I have grown up to know and love about the biscotti – hard, crunchy, and it withstands multiple dips into a cup of coffee without falling apart. So both of these are good; if you want one that’s a little softer to enjoy eating with your tea I would suggest my previous entry. However, if you’re Italian or a dunker, you’ll want to use this recipe, as I feel it’s much more authentic. Also, the previous recipe made significantly smaller biscotti, whereas these are substantially larger and look like they came from a coffee shop. A little drizzle of chocolate and they were ready for my tins! 2. Cream the sugar and butter together until fluffy, add the eggs one at a time along, and then add the extract. Scrape your bowl if needed to make sure everything is smoothly mixed and incorporated. Whisk the flour, baking powder and salt together in a separate bowl. Add it gradually to the creamed mixture and mix just until a dough forms and pulls away from the sides of the bowl. 3. Turn the dough out onto a lightly floured work surface and rub your hands with a little flour. Divide the dough in two and form each half into a log about 4 inches wide by 10 inches long. Bake on parchment lined baking sheets until lightly browned and small cracks form on top, about 25 minutes. Remove from oven and cool slightly on the baking sheets. Transfer the logs to a cutting board. Slice on the diagonal in generous 1/2 inch slices - this is easiest by using a straight down chopping motion with a good santuko or chef’s knife. 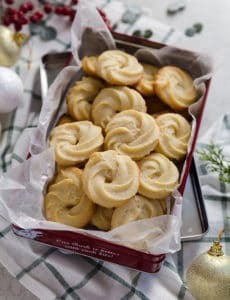 Place them with the cut side up on parchment lined baking trays and bake another approximately 16-20 minutes or until slightly browned, turning over half way through the baking. Cool completely on a wire rack. I’ve searched and searched all over the site for the recipe for the softer biscotti, did you remove it? 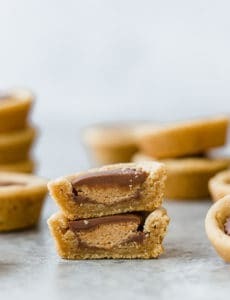 Would it be possible to add the link to the basic biscotti posting or send the link to me? If your readers would like a softer biscotti, simply do not bake them a second time. I have a son and daughter-in-law who both prefer the biscotti non-crispy. Delicious both ways! 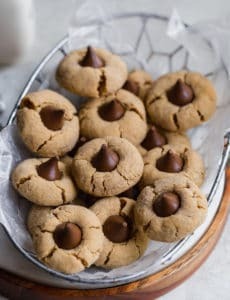 Thank you for this recipe I will be using it for a school project. loved your recipe but didn’t like the idea that I had to print 12 pages to get the recipe which was on just 1 of the pages . I would love the recipe link for the softer biscotti! I love coffee and biscotti, but my family does not like coffee and prefer softer cookies. Thanks! HI, nice blog, very interesting. Great recipes and of course Einstein…. how adorable. I have an English Bull Dog and love him to death…. if you don’t mind me asking that is…..I live in Canada. Hi Rose, My grandfather grew up in the mountains outside of Rome. These are the perfect basic biscotti! I upped the extract to 1 tsp and used anise instead of vanilla and they came out absolutely picture perfect. Thank you for the recipe! How long will these keep for, and what’s the best way to keep them? Hi Li-Anne, You can store them in tins or airtight containers at room temperature. Biscotti keep for a long time, I would easily a few weeks to a month. I just finished making these amazing creatures. So easy. I added choco chips to the dough and they were fabulous. Thank you! This looks great! Do you think that I could add a cup of shelled, toasted hazelnuts to this? Also, how long is it’s shelf life? Hi Francesca, Yes you could definitely add hazelnuts, yum! The biscotti can stay for a few weeks. Thanks for this basic recipe. It looks great. I’m going to try a second batch substituting some cocoa powder for some of the flour to make chocolate biscotti. Getting oodles of ideas from you for my Christmas baking! 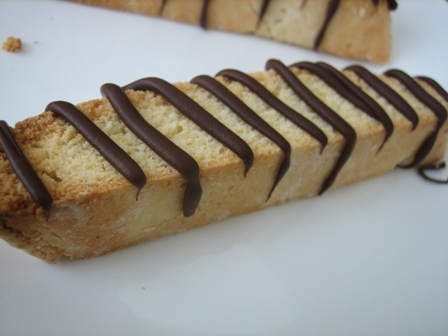 I haven’t made biscotti in years but since I’m Italian, perhaps I should make some again. I see there is already salt is in this recipe. Usually if it’s unsalted butter, it specifically states it. Did you use salted or unsalted for this recipe. When it just says “butter”, I usually just go with salted since that’s what I usually have on hand. Thanks!! Ah, thanks for the catch on the butter Lisa! This is a recipe I wrote a looong time ago and wasn’t as good at it ;-) Definitely use unsalted butter. I would go ahead with the recipe you printed out for the cranberry biscotti – that one takes into account some extra moisture from the cranberries. Happy Baking! Your biscotti look perfect. Great job. What did you use for the chocolate on the biscotti? Hi Fran, I probably just melted semisweet chocolate chips and drizzled. It’s been so long!